Today launches the first episode of “Q & A” with KatersAcres. I hope to do many more of these in the future, but in order to do them, you need to post your questions in the comments below. Your questions will be answered in a future video. From Mary B.: Where Do You Get Inspiration? From Lenis: What are the main stumbling blocks for beginners to master in order to take their skills to the professional level? Is it certain techniques? 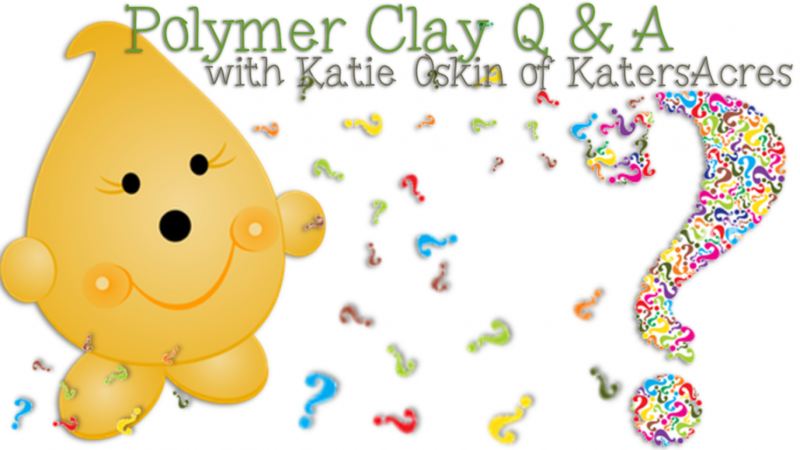 From Heather Andrea Martin: Can resin be used with polymer clay? If so, how? From Samantha: If there is one tool that you could not be without in your studio, what would it be? From Barb: I know it’s ill advised to eat while working with polymer clay? But be honest … what do you do? The second episode is questions that have been personalized: asking about me, my art, my preferences, &/or KatersAcres. From Susie: What is the main brand of polymer clay you use in your studio? From Jan: How do you have time to get it all done? From Janet Calardo: What is my favorite type of jewelry to make? I’m so glad you were able to join me today. Do not forget to leave your questions in the comments below or on my YouTube video. You never know, your question may be the next one answered.